Metro 303 was sold in November 2014. 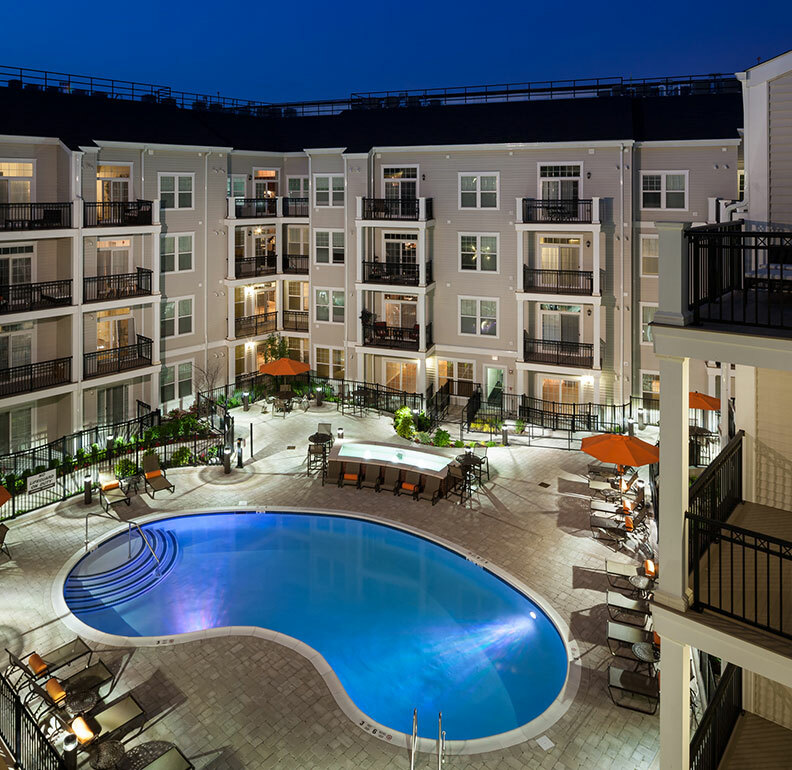 Metro 303 is 166 market-rate apartment homes on a 2-acre development site located on Long Island, NY at the northern end of The Village of Hempstead, bordering the prestigious Village of Garden City and centrally located in the heart of Nassau County. The transit-oriented site is also within easy walking distance to two Long Island Rail Road (LIRR) Stations: the Country Life Press LIRR station to the north in Garden City and the multi-modal Hempstead LIRR and bus station to the south in the Village of Hempstead. Metro 303 is just a train ride away from NYC and its thriving employment and entertainment centers. Amenity space includes a resident lounge with fireplace, gaming area with gaming systems, WiFi theater and multiple flat screen televisions, business center, outdoor pool and sun deck, the latest in fitness equipment, and beautifully landscaped courtyards. Individual homes will feature modern, upscale kitchens featuring islands with pendant lighting, 42-inch cabinets, granite countertops and stainless steel appliances, full-size washer and dryers, 9-foot ceilings, large walk-in closets, and state-of-the-art telecommunications options from Verizon and Cablevision.